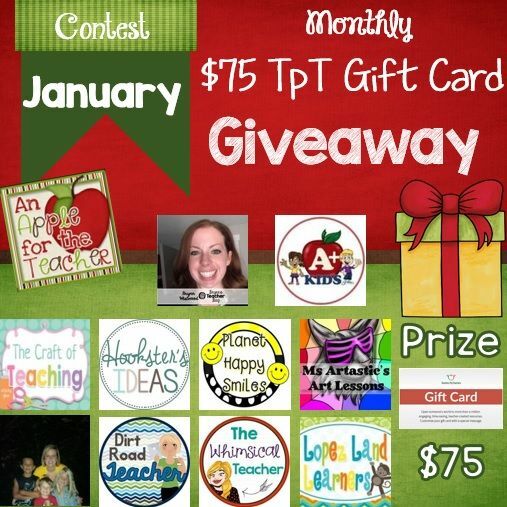 Planet Happy Smiles: TPT Gift Card Giveaway!!! My friend, Kelly @ An Apple for the Teacher is having a terrific GIVEAWAY! Enter this giveaway right here! Her monthly $25 Teachers Pay Teachers gift card giveaway has morphed into a $75 Teachers Pay Teachers gift card giveaway! We were in on the donation to this giveaway & we hope one of our viewers wins!!! New Year's Resolutions ~ Now What?